First, make reasonable arrangements. The first planting cucumber was cultivated for wintering and was raised in early October. The first true leaf was grafted with black-skin squash at the beginning of the season and was planted in late November, and harvested from late December to late March of the following year. The second planting of celery is to promote cultivation. In early March, seedlings are planted, planted in mid-April, and harvested from the end of May to the beginning of June. The third planting of cowpea for summer cultivation, live in early June, harvested from late August to early September. The fourth planting tomato was cultivated in the late autumn, nursed in late July, planted in mid-September, and harvested from mid-October to mid-November. Second, choose the appropriate variety. Cucumber used Changchun Mimi, Xintai Mickey and other high-yield seedlings with low temperature, light and fast growth. Celery choose cold-resistant, disease-resistant, high-temperature varieties, such as Tianjin yellow Miao celery, Weifang young Miao celery. Bean selection of high temperature resistance, disease resistance è±‡28-2, Zhang Tang kidney beans, red mouth Yan Bean and other varieties. Tomatoes should be selected for high temperature resistance at late seedling stage and low-temperature tolerance varieties such as Jinyan 65, Qiangfeng and Qingfan No.3. Third, age seedlings colonization. Greenhouse vegetables are required to be harvested four times a year, so that they are compactly connected before and after harvest, and each harvest is required to be harvested as soon as possible. Therefore, age-appropriate seedlings should be used for colonization. The cucumber seedling age should be more than 45 days, the celery seedling age is 50-60 days, and the tomato seedling age is more than 50 days. Fourth, increase organic fertilizer. Greenhouse vegetables are cultivated in four crops, which has high land utilization rate and high soil productivity. In addition, the ground temperature is too low for a long period of time and the carbon dioxide in the shed is insufficient. Therefore, organic fertilizer should be applied as much as possible to supplement the ground force and increase the carbon dioxide content in the greenhouse. In general, cucumber pods use 10,000 kg organic fertilizer per 667 square meters, celery stubble 5000 kg per 667 square meters, and pod pods should not be applied. Tomato pods should be applied between 3,000 and 5,000 kg per 667 square meters. Fifth, determine the reasonable density. The suitable row spacing of cucumber is 60-80 cm, plant spacing is 20-26 cm, 3500-5000 plants are planted per 667 square meters. The suitable spacing of celery is 12-15 cm, the spacing of plants is 10 cm, and 40000-50000 plants are planted per 667 m2. 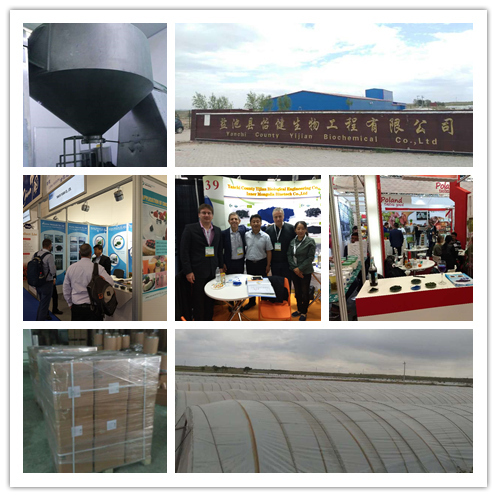 The suitable row spacing of cowpea is 60-66 centimeters, and the distance is 30 centimeters. About 3,500 plants are planted per 667 square meters. The proper spacing of tomatoes is 60 cm, the spacing of plants is 30 cm, and about 3500 plants are planted per 667 m2. Sixth, timely prevention and control of pests and diseases. Greenhouse vegetables are cultivated four times a year. The pests and diseases are serious, and they often appear suddenly. They are fierce and difficult to control. Prevention should be the main method, and drugs should be promptly sprayed when hazards are discovered. VII. Economic benefits. This model generally produces 6,000 kilograms of cucumber per 677 square meters, 4000 kilograms of celery, 2000 kilograms of kidney beans, and 4000 kilograms of tomatoes. According to the market price, the economic benefits are considerable. 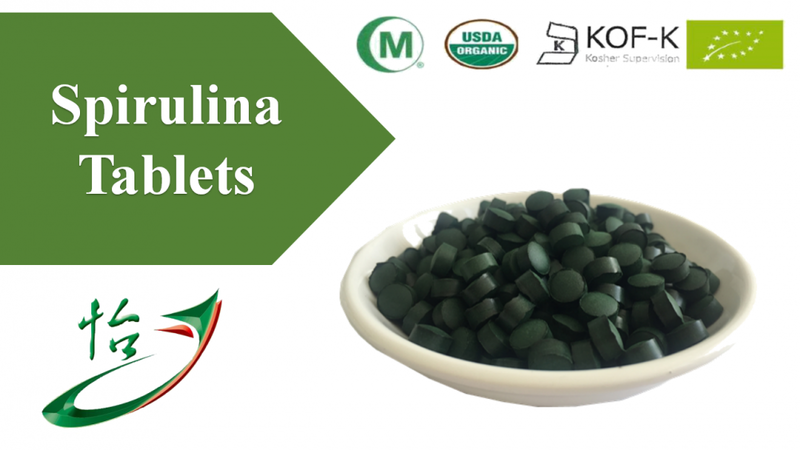 This classification summarizes the Spirulina Tablets produced by our own factory in northwestern of China .